Heated debate was ignited last week when researchers dared to suggest that RFID (Radio Frequency Identification) was vulnerable to viruses. But when maturing technology is subject to malware scares, the discussion serves to increase the rates for those contractors with the relevant skills. The controversial paper, "Is Your Cat Infected with a Computer Virus?" by Melanie R. Rieback, Bruno Crispo and Andrew Tanenbaum, from the Computer Systems Group at Vrije University, Amsterdam, showed that an RFID tag can contain damaging data which may cause harm to the reading computer systems. RFID uses small low-cost electronic tags as data sources that are read by a remote scanner. The tags can hold information about the object they are attached to, such as a price, a name, blood group or part number. But it may also contain sensors and other active devices. Until the paper's publication it was thought impossible that the small amount of data held on the tag could be damaging. But Rieback and her co-authors created a proof-of-concept self-replicating virus that used RFID tags as a vector to compromise backend systems via an SQL injection attack. The finding has caused furore among RFID aficionados since the technology is well on the way to maturity and accepted by many major organisations. Wal-Mart first went live with RFID in January 2005 and according to Carolyn Walton, vice president of information systems, speaking at the RFID World conference in Grapevine, Texas, among the benefits have been a three-fold increase in replenishment of items going out of stock. Moreover, the technology has enabled a 10 per cent cut in the manual refilling of out-of-stock items. Walton is already pleased with the return on investment shown. Other companies, particularly those involved in the supply chain, are experimenting or rolling out RFID solutions, and the technology is being used in a host of applications. Belgian scientists at the Catholic University of Leuven have embedded an RFID chip into a tooth to show how detailed personal information can be stored (RFID chip hides in tooth). In Japan, researchers are experimenting with scattering a network of RFID enabled sensors across a disaster area to locate victims. Meanwhile the nation's libraries are lending "self-checkout" books. Given the diversity of uses, and the competitive advantages RFID projects can bring, it is not surprising that industry is desperate to recruit experienced RFID consultants, architects and developers. 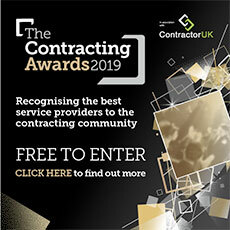 But, as reported by Contractor UK (Contractors flock to RFID 'gold rush'), experienced staff are thin on the ground and this has led to companies paying premium rates for contract specialists. No doubt you're already rubbing your hands if you've already booked your place on a RFID training course, and things can only get better as far as hourly cash is concerned. The security implications of RFID means new, complicated, legislation is required, and to start the ball rolling, the European Commission recently announced a series of workshops to consult public opinion over RFID concerns. New EU laws, and the fear raised by the prospect of a billion small items infecting each other with viruses, will see IT executives reaching for their cheque books and the best RFID advice they can afford; better safe than sorry, after all. "RFID is a complex and still evolving technology, and expertise is absolutely required for its usage to be a success," said David Sommer, vice president of electronic commerce, of the US-based Computing Technology Industry Association. "The 'need-to-knows' related to RFID are many and varied. Clearly there is work to be done in our industry in terms of RFID education, training and professional certification," he added. So while the industry engages in education, and training initiatives, RFID skills demand will outstrip supply, and there will be several years of competing clients and glorious escalating rates – before new entrants, lured by tales of the 'gold rush,' flood the market and hourly charges begin to subside. Until then, good luck riding the RFID wave.